Are some advanced civilizations in our galaxy now collecting all of the energy emitted by their stars? If so, we call those energy-collecting megastructures Dyson spheres. 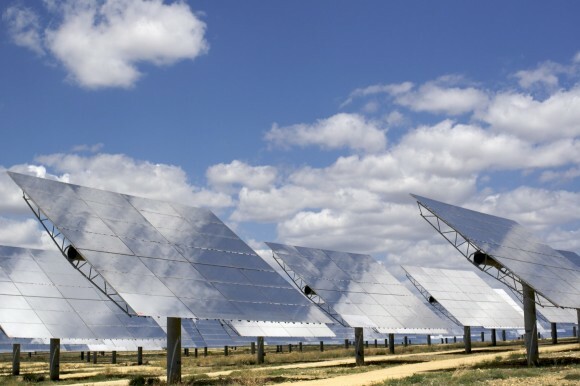 Proponents of solar power know that only a tiny fraction of the sun’s total energy strikes the Earth. What if we, as a civilization, could collect all of the sun’s energy? 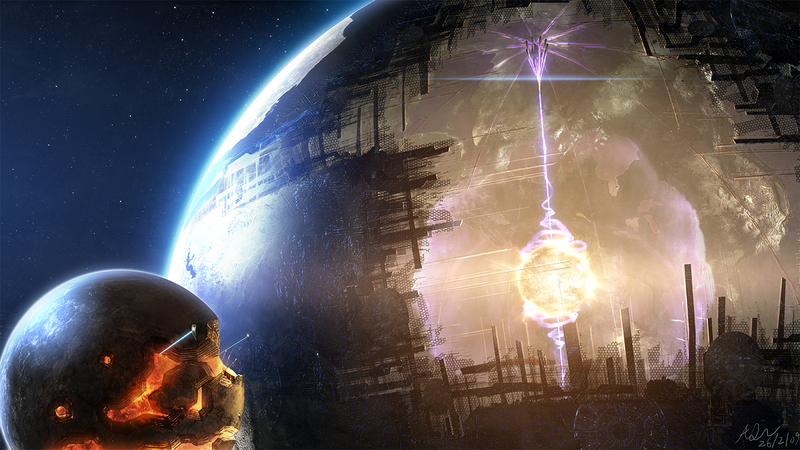 If so, we would use some form of Dyson sphere, sometimes referred to as a Dyson shell or megastructure. Physicist and astronomer Freeman J. Dyson first explored this idea as a thought experiment in 1960. Dyson’s two-page paper in the journal Science was titled Search for Artificial Stellar Sources of Infrared Radiation because he was imagining a solar-system-sized solar power collection system not as a power source for us earthlings, but as a technology that other advanced civilizations in our galaxy would, inevitably, use. 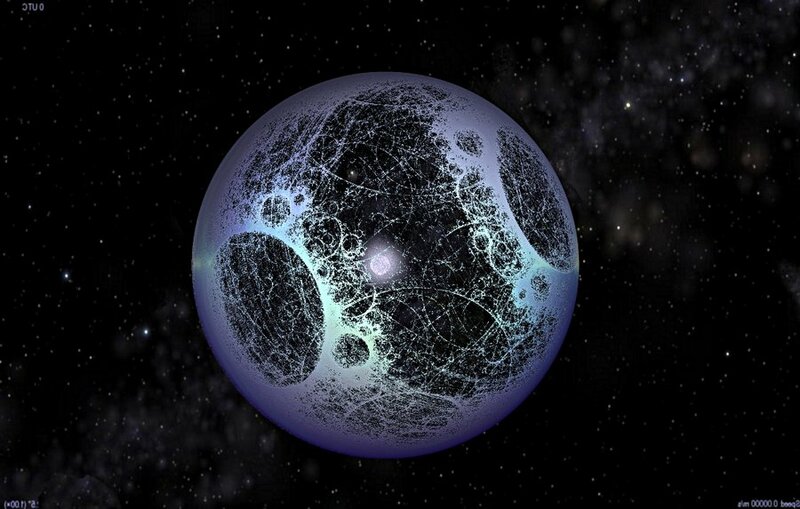 Dyson proposed that searching for evidence of the existence of such structures might lead to the discovery of advanced civilizations elsewhere in the galaxy, and indeed, since late 2015, astronomers have been arguing about a bizarre and now-controversial star, known to astronomers as KIC 8462852, whose light may indicate telltale signs of a Dyson sphere under construction around it. KIC 8462852 – also known as Tabby’s Star for its discoverer Tabetha Boyajian (and sometimes the WTF Star for “where’s the flux?” – raised over $100 thousand in a Kickstarter campaign last year, which let Boyajian and her colleagues conduct extensive observations of this star with the Green Bank radio telescope in October, 2016. Nothing earthshaking was reported at that time, but astronomers are continuing to study the star. Around that same time, in fall 2016, astronomers also found a second possible Dyson sphere star. All of this is just to say that Dyson spheres – while in the realm of science fiction and scientific possibility during the 20th century – now seem real enough to astronomers that some are scrutinizing particular stars, looking for signs of them. 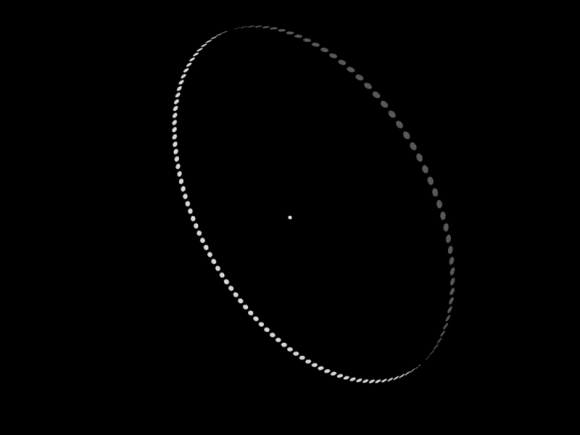 Read about KIC 8462852: Is this strange star surrounded by a Dyson sphere? 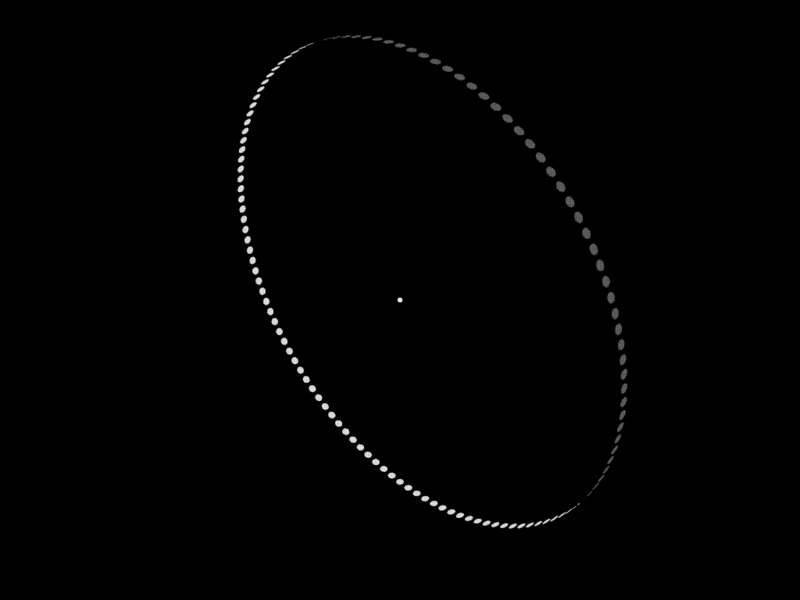 A solid shell or ring surrounding a star is mechanically impossible. The form of ‘biosphere’ which I envisaged consists of a loose collection or swarm of objects traveling on independent orbits around the star. It would consist of a shell of solar collectors (or habitats) around the star. With this model, all (or at least a significant amount) of the energy would hit a receiving surface where it can be used. [Dyson] speculated that such structures would be the logical consequence of the long-term survival and escalating energy needs of a technological civilization. And of course science fiction writers have had a field day writing about Dyson spheres. Dyson himself admitted he borrowed from science fiction before he began his technical exploration of the idea of a megastructure gathering energy from its star. Olaf Stapledon first mentioned this idea in his 1937 science fiction novel Star Maker, which Dyson apparently read and used as inspiration. What might astronomers look for, in the search for evidence of Dyson spheres in the space of our Milky Way galaxy? Even before the discovery of KIC 8462852 – feeling frustrated by decades of seeking radio signals from intelligent civilizations beyond Earth, and not finding any – a few astronomers in 2013 were contemplating new search strategy. Consider that if a system of solar power collectors – a megastructure – were put in place around a star, the star’s light, as seen from our perspective, would be altered. The solar collectors would absorb and reradiate energy from the star. It’s that reradiated energy that astronomers might seek. Stephen Battersby at New Scientist wrote a great article about how astronomers search for Dyson sphere, released in April 2013. The article is available by subscription only, but if you search on the title (“Alien megaprojects: The hunt has begun”), you might find an alternative link. There’s also a very cool diagram published in New Scientist that helps explain astronomers’ new search, which you can see here. 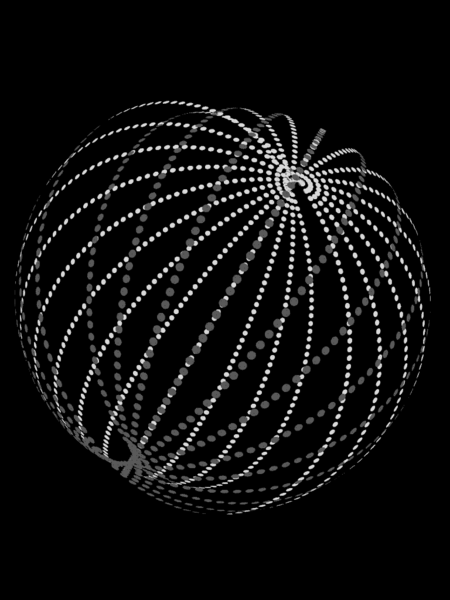 Bottom line: A Dyson sphere would consist of orbiting solar collectors in the space around the star of an advanced civilization. The goal would be to ensure a significant fraction of the star’s energy hit a receiving surface where it could be used to the civilization’s benefit. Freeman J. Dyson, who in 1960 became the first scientist to explore this concept, suggested that this method of energy collection be inevitable for advanced civilizations. This entry was posted on March 28, 2017 by Redwolf. It was filed under Daily Views .